I had it all, yes I believe everything I was holding effortlessly, was made out of rubies and rocks. 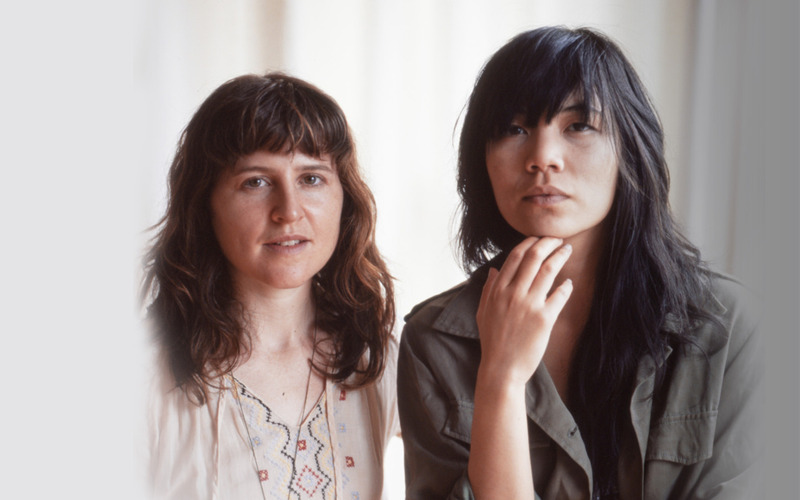 Thao & Mirah are an indie pop duo based out of San Francisco, California. Despite their clashing musical backgrounds, long time friends Thao Nguyen and Mirah "Yom Tov" Zeitlin managed to seamlessly collaborate in the summer of 2010 with producer Merrill Garbus (tUnE-yArDs). The fusion of Thao's gritty power pop style with Mirah's folk sensibilities resulted in their self-titled debut released on the Kill Rock Stars label. Notable influences on this album stem from Leonard Cohen, Elliott Smith and Modest Mouse. With an album support tour on the horizon, the group will be working with Air Traffic Control (a non-profit) to support causes and organizations close to their hearts. A section of their website is devoted to activism, and they encourage their fans to affect positive social change. Thao and Mirah is the collaboration between Thao Nguyen and Mirah “Yom Tov” Zeitlin, two established songwriters in their own right. In their day jobs, Nguyen helms a critically acclaimed rock band (Thao with the Get Down Stay Down), while Mirah has been releasing powerful indie folk records since the late 90s. You’d wonder how an often gritty power pop rocker (Thao) could play nicely with the delicate and whimsical folk songstress (Mirah), yet the result of their collaboration is an intense, nuanced album that combines two women’s talents to create something greater than the sum of their parts. Thao and Mirah takes Thao’s punk rock energy and filters it through Mirah’s reflective acoustic style, realized over the course of twelve skillfully written songs. The album begins with “Eleven,” a percussive tour de force of skittering, ticking, thumping beats clearly architected by tUnE-yArDs' Merrill Garbus, who produced the album (you can even hear her signature yelp in the background). The tone is rambunctious and lively, clearly Thao and Mirah are having fun as they sing “when love is love don’t let it go away / my love is love it won’t go away.” The following wordless refrain sounds like an all-female female Grizzly Bear gone ecstatically off track. A tender, introspective track, “Little Cup” is the closest thing on the album to Mirah’s solo work. With little more than a subtle acapella beat, gently picked guitar, and Mirah’s emotive vocals. “How Dare You” is a true collaboration, with the women trading lines over a crunching drum machine. “Square Neck” is a back porch stomp that finds Nguyen singing over a bluesy shuffle and rhythmic slide guitar. The combination of momentum, wispy melodies and pure enthusiasm sums up Thao and Mirah’s collaboration: pure synergy.